At work or at home it could be useful to share one printer with several devices (tablet, notebook, smartphone, PC) both to save money and to gain more efficiency. To connect a printer to the local network, in order to print with the LAN (Local Area Network) connected PCs, there are several options, depending both on the printer’s characteristics or on the printer (or all-in-one device) itself, and on the user’s needs. First of all you have to verify the printer’s characteristics, if it has already an internal network interface controller (Ethernet or Wi-Fi) and if it is predisposed for a LAN connection, or if it has just a USB port (or an old parallel port). Then you have to consider if it is destined to a domestic use (few users that use it occasionally) or to professional purposes (many users that need it always on and ready to use). Usually you should just connect it to the network switch or to the router and assign it a free static IP address (such as 192.168.x.y) or you could even use the dynamic IP configuration (DHCP) service, which dynamically and automatically assigns an available address. Generally, every kind of router (included the ADSL one) can give a DHCP service or at least it has to be enabled to function as SERVER DHCP, whereas the printer becomes a CLIENT DHCP. Then you should install the printer driver related to your printer model on each PC on the network. In case of Wi-Fi connection you should follow the same advices. 2) If you’re not so lucky and you have to use a USB or Parallel connection, then you should directly connect the printer to a PC of the network (e.g. the network "SERVER") installing the printer driver on it. Then you should share it with all the other PCs and install the driver on them. Here, the printer is available through the SERVER, thus this computer must always be on and working in order to allow the users to print! Click the Start button, then Control Panel and open Advanced connection settings. Type network in the search box, click on Network and sharing center, then select Change advanced connection settings in the left box. Click the down arrow button to expand the current section. If printer sharing is off, turn on printer sharing and click Save changes. Click Start and select Printers and devices. Right-click the printer you want to share and click Printer properties. Click the Share tab and select the control box Share the printer. 3) If you don’t want to set apart a PC for the printer or to leave always the sharing PC on, you can buy a print / printer server, in other words a usually small and low energy consuming device, which incorporates an internal network interface card and one or more USB/parallel ports. By this device you can connect one or more printers to its ports and connect it/them to every PC of the network by the LAN. Of course it has to be configured by following the advices by the device’s manufacturer. 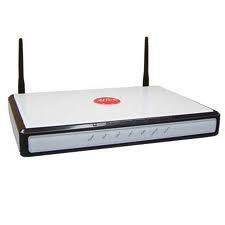 4) If you have an ”evolved” ADSL router with a USB port and you can activate it as "printer server" then you can connect the printer to the ADSL router and share it with the whole LAN. Even in this case you don’t need to set a PC apart, it is sufficient to leave the ADSL router on and connected to the LAN switch. 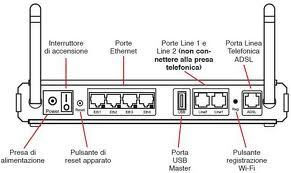 For a domestic use, if the ADSL router has more than one Ethernet port, it could also substitute the network switch; it could be even “underused” as printer server and switch (avoiding to use it as a system to access to the internet by ADSL). For instance, in the ADSL router "ALICE GATE 2 PLUS WIFI" or "ALICE GATE VOIP 2 PLUS WIFI" you need to access to the router IP address (the default one is 192.168.1.1) by a web browser, type the password (default "admin"), move to the section relative to " USB Port ", activate "USB Printer server" and assign a name to the device. You have to connect the printer to the master USB port of the router. Finally, you need to add a new device "printer" specifying the pathway, the name of the router (\\alice gate) or the IP address, and the device name on every Windows PC that is to be connected to the printer. Finally, you have to choose and install the correct driver relative to the printer model used. If you use either Windows or LINUX, the sharing of peripheral devices is within everyone’s reach; you have just to remember that the sharing PC (that is physically connected to the printer) may suffer the extra-work due to print spooling. On the other hand, true "print servers" (e.g. 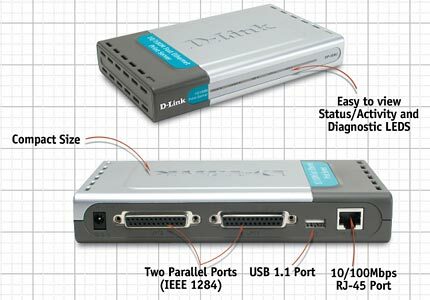 D-LINK DP-300U with 2 parallel ports and 1 USB) may be very useful in a company, where they need to be H24 available. Finally, I would underline that ADSL routers as printer servers may result in higher efficiency, compatibility and performances if compared to other solutions. 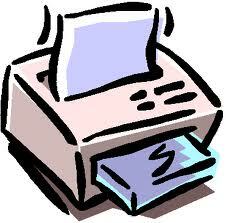 In detail, if you want to share an all-in-one photocopier equipped with one USB only, (e.g. : KONICA Minolta Bizhub 163) you can use an ADSL ALICE GATE VOIP PLUS WIFI router (Pirelli) configured as printer server, with the further advantage of allowing not only LAN but also WIFI sharing!! !